God is real! He has promised never to leave us or forsake us. He speaks to us of His love, His power, and His presence through our everyday experiences, if only we will stop to listen. Minute Meditations: Meeting God in Everyday Experiences is NOW AVAILABLE IN KINDLE VERSION. Where it all began . . . with a devotional column I practically had to beg the newspaper publisher to let me write . . . to three devotional books and 19 years of a writing a column that won second place in the 2009 Pennsylvania Newspaper Association’s Keystone Press Awards. In 2000, I published 50 of my favorite columns, along with 8 poems in book form (paperback). To mark the milestone of going into the column’s 20th year, the first book of meditations is now available for your Kindle for only $.99. Download your copy today. Or gift someone with a copy. Simply click on “GIVE AS A GIFT” on the right side of the Amazon page. I went steady with Mike for three months during the spring of my sophomore year in high school. Then, on the bus after our class picnic in June, he gave me a note. Dummy me believed him. Even after I read the “Dear Michele” letter. Even when I heard through the grapevine he was chasing a cheerleader. I put my faith in his promise and clung to those words all summer long. It wasn’t until school started in the fall that I learned of his deceit. Broken promises. Broken hearts. Peter, too, made a promise he didn’t keep. He told Jesus he’d never desert Him, even if he had to die with Him. A few hours later, Peter denied three times he even knew Jesus, cursing and swearing to emphasize his point. All it took was one look from Jesus, and remorse flooded his soul. Weeping bitterly, he rushed out of the courtyard a broken man. The next time we read of Peter, though, he’s racing to the empty tomb. Peter never deserted his Lord again. “God often uses our deepest pain as a launching pad for our greatest calling” (Daily Inspirational Quote). He did for Peter, and He’ll do it for us, too. But we have to muddle through pain, confusion, despair, guilt, self-recrimination—and often endure the silence of God while we struggle to find the light of hope. Remember Job? A man whom God Himself described as “the finest man in all the earth . . . blameless—a man of complete integrity” (Job 1:8 NLT). In Job’s time of deepest need, God was silent, seemingly absent. God might have been silent, but He wasn’t absent—it only seemed that way. When our pain and grief are overwhelming, when we can’t figure out what we did to deserve this, when we wonder where God is, our faith can falter. 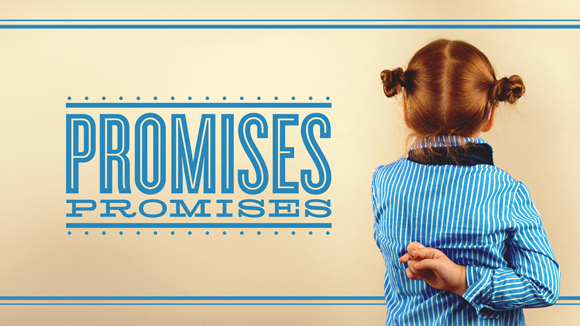 We wonder what good it does to believe the promises we find in God’s Word. But is our faith in the promises? Or in the Person who made them? “Faith,” wrote A. W. Tozer, “must rest on the character of God.” You see, a promise is only as good as the character of the person making it. Because I have faith in God—in who and what He is, in His character—I have faith that He will keep His promises. Every single one of them. In the dark times—in the dark night of the soul—remind me that You will never leave me or forsake me, not just because You promised, but because of Who You are. Amen.